Mentor coaching is fundamental to your coach training and it involves conducting a real live coaching session and then receiving feedback from a trainer who has a high level of skills and experience in the industry of coaching. Here at International Coach Academy, our mentor coaching classes allow students to experience real coaching sessions and learn as an observer, as a client and as a coach. Its not a session where you role play or pretend that you’re coaching, but rather its a real session where coaches can practice their newly acquired coaching skills. 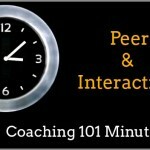 In the role of the observer, you have the opportunity to listen to how multiple coaches approach their coaching session. In listening you can take notes on what you observed, phrases used, techniques employed and from the feedback, learn what worked and what did not work or what other direction the coaching session could have taken. In the role as a client you’ll experience what its like to be in a space of trust and you’ll see what it’s like to have a change in perspective, and an ‘ah ha’ moment and how pauses and silence feels like. In the role of the coach you get to practice your coaching skills and learn as much from what did not work as what did work. Because these are live coaching sessions you will get to coach all sorts of people on all sorts of issues, those you are familiar with and those you are not. This practice will really deepen your coaching experience and prepare you for your professional coaching career. Students often say that mentor coaching is their favourite part of the course and are amazed at how little time is actually required to make a significant difference in someone’s life through the coaching process. Coaching 101 is a space where you can sample a module and listen to a live audio recording of a ‘What is Coaching?’ teleclass. It’s just one of the ways you can discover more about what it’s like to study Coach Training with ICA.